iCloud is a large part of the Apple ecosystem that needs to be more reliable. It happened again. 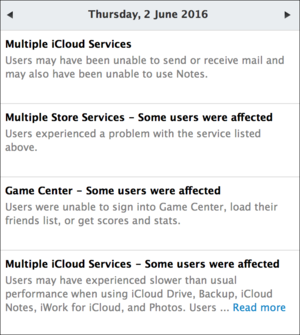 Apple’s cloud services had a minor meltdown on June 2. 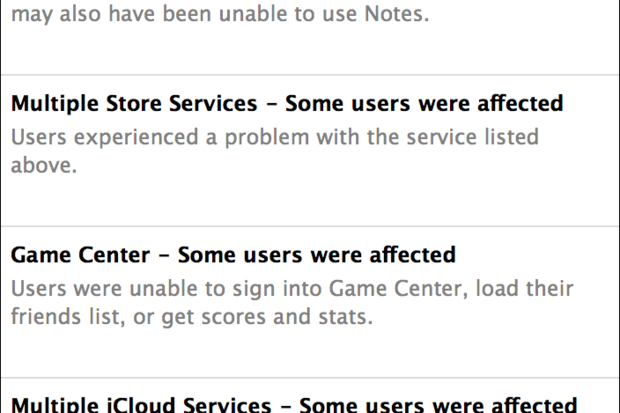 Many services were down: email, Notes, the iTunes Store and Mac App Store, Game Center, iCloud Drive, and more. It was cloudy on June 2. This day was a bit worse than usual, but there are frequent problems with iCloud Music Library, which prevent users from accessing their music, issues with Messages and Face Time, and many other problems with Apple’s cloud services. It has become a commonplace to say that “Apple isn’t good at services.” Those of us who have been using Apple products since the pre-internet days remember the various cloud services that Apple launched, changed, rebranded, and then scrapped. First came iTools in 2000, followed by .Mac in 2002, MobileMe in 2008, then iCloud in 2012. It was as if Apple hoped that a new name would make users forget how unreliable each service was. iCloud is convenient. While there are plenty of other services that can replicate Apple’s cloud features, the all-in-one nature of iCloud makes it easy to use, at least if you’re an inhabitant of Apple’s ecosystem. You have a single login and password for all of the above features, as well as purchasing and updating apps, buying music, renting videos, and more, and the service is woven into the fabric of OS X and iOS. You access Apple support with the same Apple ID, and you can buy Macs and iOS devices from Apple Stores using the same credentials. In some ways, Apple’s iCloud has become the cloud equivalent of iTunes: a massive amalgam of services, all of which are linked, and which are suffering from their accumulated complexity. To be fair, major outages such as that seen on June 2, are rare, but minor glitches are annoyingly common. iCloud Music Library probably has the most problems, with users often unable to update their music libraries, or even access their vaporous music. As Dan Moren wrote in November 2015, Apple is “clearly investing in the infrastructure, building data centers around the country. But it would be good to see the same level of dedication and attention given to the services themselves.” And it seems that some of the problems are due to disagreements within the company itself. I use Dropbox to store and share files. Dropbox does have an outage from time to time, but it seems that this happens about once a year. If you use Gmail, you know that there are occasional glitches, but they’re not that frequent. And every other cloud service has its share of bad weather too. But those services are different from Apple’s iCloud; they are, for the most part (with the exception of Google), single services. In some ways, Apple’s iCloud has become the cloud equivalent of iTunes: a massive amalgam of services, all of which are linked, and which are suffering from their accumulated complexity. Even when there aren’t major outages, there are often problems with sync errors, duplicated data, lost data, and more. iCloud, and its ancestors, have always been unreliable. Now that iOS and OS X users depend so much on these services, Apple needs to make them work. 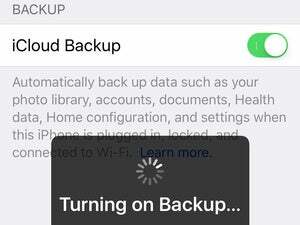 We can forgive a one-day outage, but it’s the little problems—sync issues, lost data, and so on—that make iCloud so frustrating.